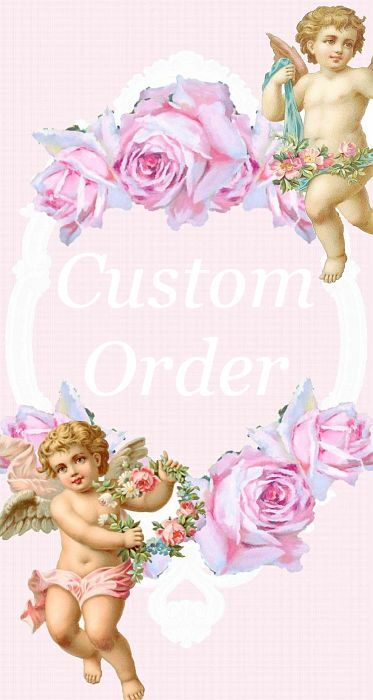 This is a custom order for one Princess bed crown set plus 2 extra hooks. They will all be painted in Pearl. The big rhinestones will be lilac. 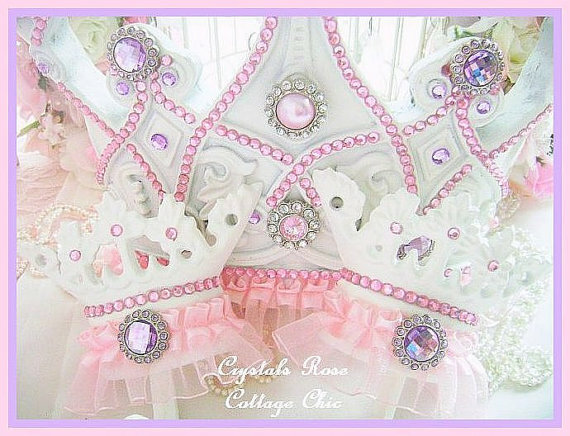 The pink rhinestone trim along the bottom as well as all the other tiny pink rhinestone trim will be replaced with pearls. Pink organza ruffle trim along bottom edge of crown. Seven yards of pink and seven yards of lilac tulle will be included for the canopy. 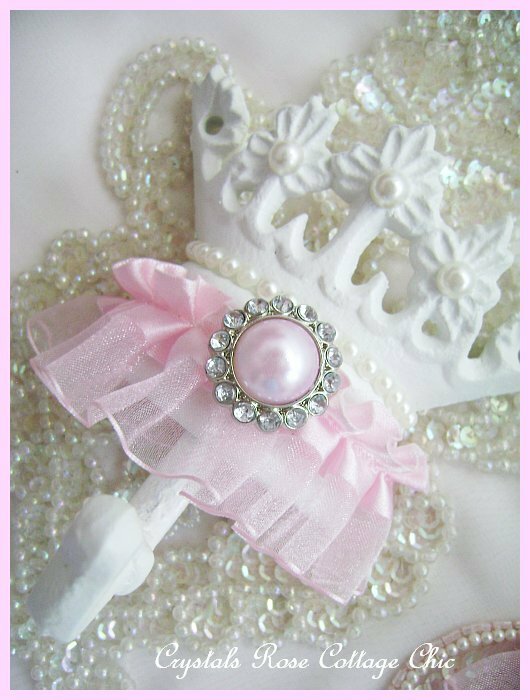 The crown hooks will have pink organza ruffles, pearl trim and lilac rhinestones.